This year’s E3 is all about games as we saw the inception of the two best consoles in last year’s E3. From the sales figures, it is evident that Sony Playstation 4 has won the hearts of most of the gamers. But things might change with Microsoft’s Xbox releasing a version of Xbox One without Kinect for the same price of Playstation 4, at $399. Comparing both the press conferences, it seems the audience are STILL inclined to Playstation 4. To make things even more exciting, Sony will soon release a white version of their Playstation 4 later this year. Till date, the Playstation 4 was only available in black. Sony kicked of their press conference at E3 on Monday announcing the upcoming and most anticipated game, Destiny, produced by the makers of Halo, Bungie. 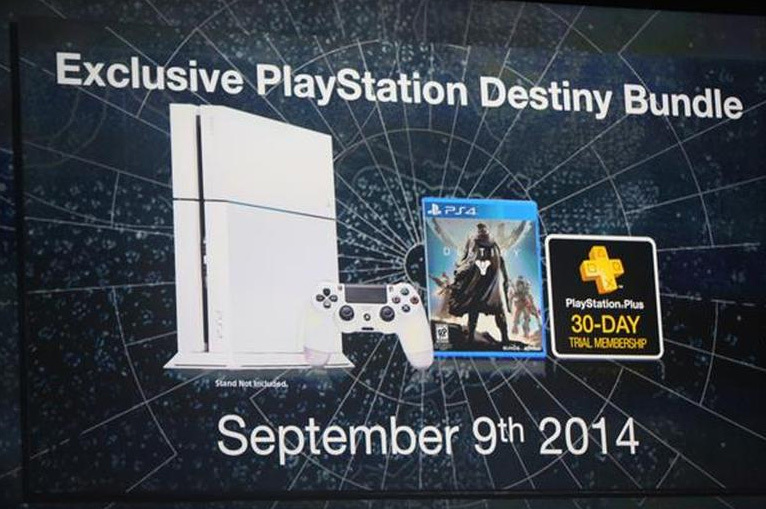 This game will hit the stores this fall and is part of the white playstation 4 bundle. The bundle will include a white Playstation 4, one white controller which would feature a black front touchpad, Destiny and a 30-day trial to Sony’s Playstaion Plus all at $400. Since the game is being produced the original makers of Halo, we are sure that the game would be a hit and this bundle would be worth it.